Beautiful Northumberland is England’s northernmost county. It is not only one of the most beautiful counties to visit during the day but also at night! Northumberland has the largest protected area of night skies in Europe. This means that it offers visitors some of the best stargazing experiences and clearest night skies in England. 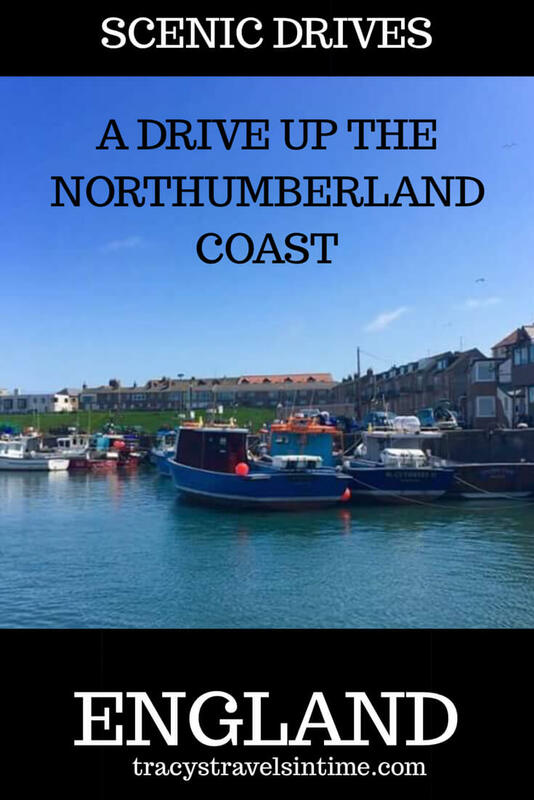 If you are planning a drive up the Northumberland coastal route, there are some beautiful coastal towns to visit along the route including Bamburgh, Seahouses, Craster and Alnwick. 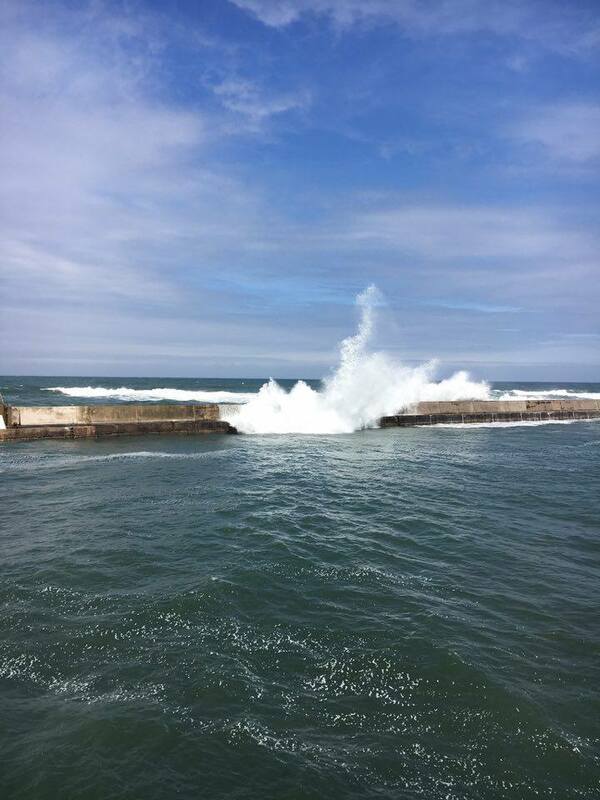 Due to the rather turbulent history with our neighbour to the north there are over 700 castle sites (more than any other county) and as some of them are on the coast you will see them on your drive up the Northumberland coastal route. Although we drove the route in a day I would highly recommend staying in some of the villages and towns along the way if you have time. 39 miles Northumberland coastal route were designated as an Area of Outstanding Natural Beauty in 1958. The Northumberland Coastal route will take you along this stunning area and through beautiful towns and villages. The drive is beautiful and if the weather is good I can guarantee you will have a lovely day out. We joined the coastal route which is well signposted at Alnmouth (5 miles east of Alnwick). You then pass through Boulmer, Craster, Embleton and Beadnall – all lovely little villages – before arriving in Seahouses. Just to the north of the village of Craster lies the first of the castles you will see on your trip. 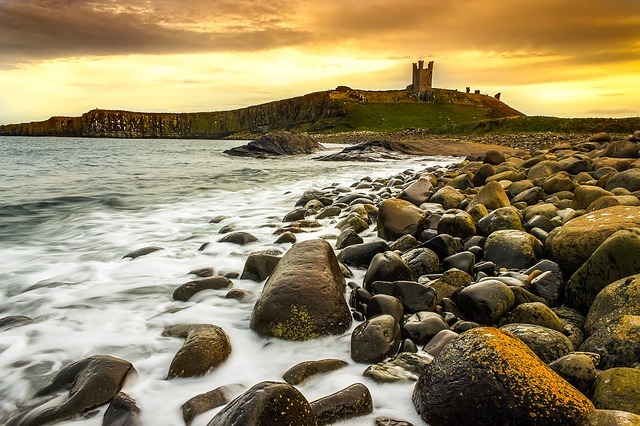 Dunstanburgh castle, home to John of Gaunt it is now administered by English Heritage. After driving through Embleton you then arrive at the small village of Beadnell. From Beadnell to Bamborough lies one of the most beautiful stretches of beaches in England. Just be aware that they are on the North Sea so the water never gets particularly warm! 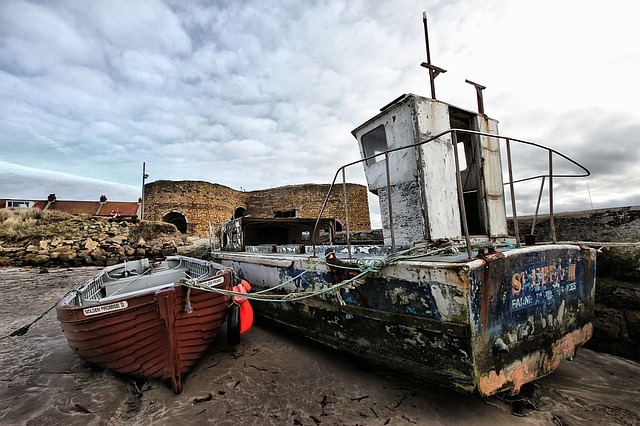 Seahouses is a town where I spend many happy summer days out as a child with my Dad and brother. There are arcades and amusements and gift shops and fish and chip shops and a great little harbour to look around. It can be very busy in summer so be prepared – parking can be an issue. 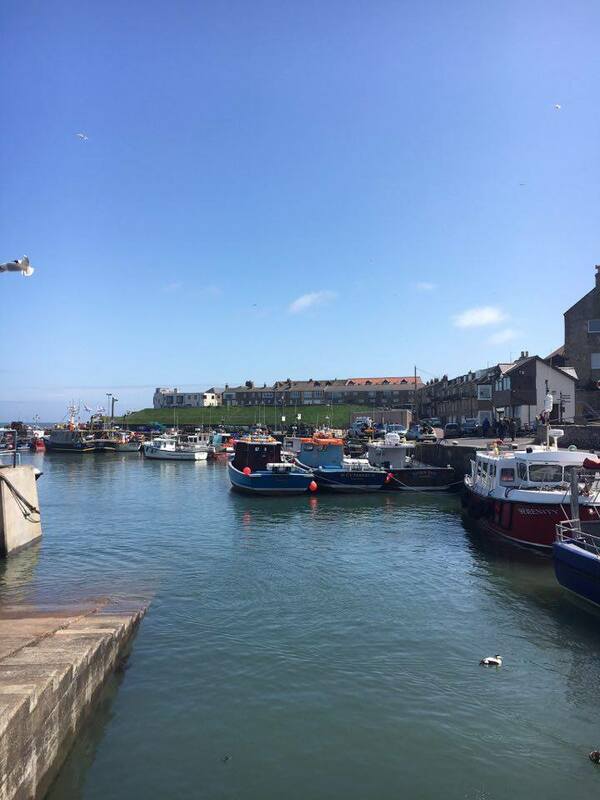 You can also catch a boat to the Farne Islands from Seahouses. Although we we had hoped to do this the weather was a bit too treacherous on the day we visited. The Farne Islands called the “Galapagos of Europe” are home to seal and puffin colonies and definitely worth adding to your itinerary if the weather allows. 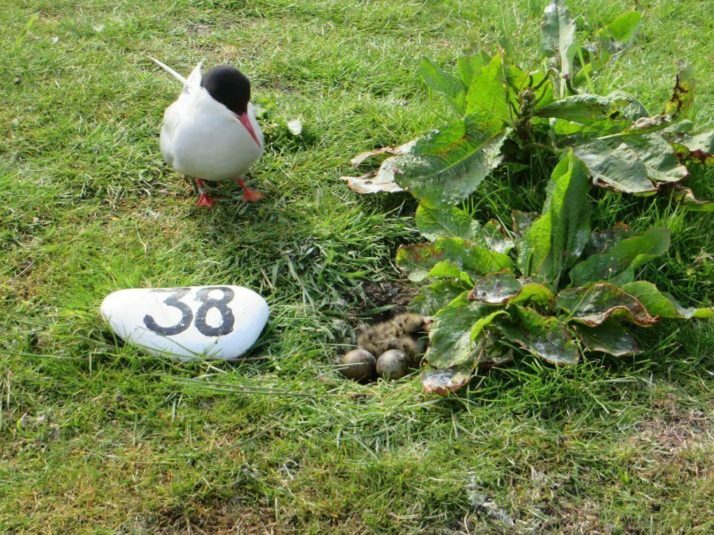 There are a 28 islands making up the Farnes of which only 3 are accessible – Inner Farne, Staple (May-July only), and Longstone. To get to the Farne Islands there are a number of boat trips that leave from Seahouses harbour. The islands belong to the National Trust so if you are not a member expect to pay a landing fee as well as the costs for the boat trip. After Seahouses continue up the coast to Bamburgh. You will see the famous Bamburgh Castle long before you arrive in Bamburgh itself. It is a magnificent structure and is still inhabited. 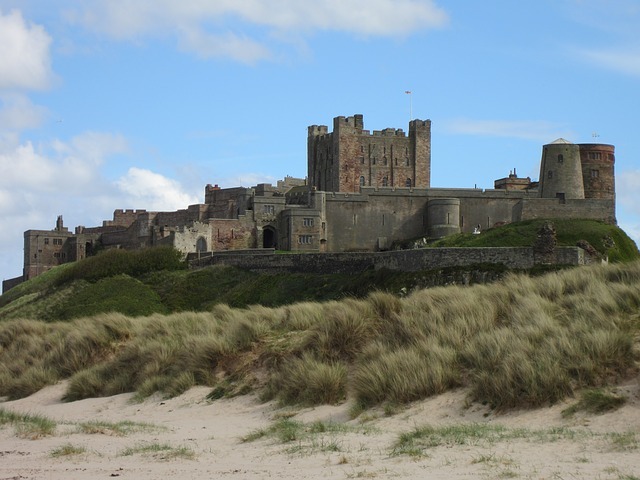 Home to the Royal Seat of the Kings of Northumbria Bamburgh Castle is a castle on which myths and legends are based. It is also rumoured to have a ghost or two inhabiting its corridors. We struggled to find parking in Bamburgh itself but if you are luckier than us and do manage to get parked in the village there is the new Grace Darling Museum to visit as well as lovely tea rooms and restaurants. You can read more about planning a weekend in Bamburgh. Your next stop will be the beautiful island of Lindisfarne (Holy Island). Here you have a castle and an abbey to visit. The castle was built in the 1500’s during the reign of Henry VIII but for me the highlight of a visit to Holy Island is the ruined abbey. It was at this abbey that monks wrote the Lindisfarne gospels a copy of which can be found in the nearby church. 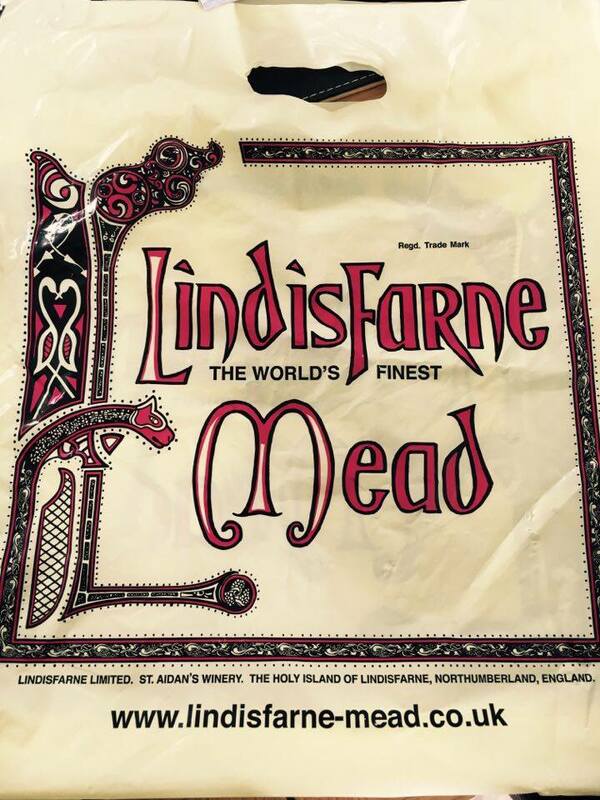 It is vital to plan your visit to Lindisfarne very carefully as tides cover the 3 mile causeway and cut off the island from the mainland. We had checked the tides before planning our trip. This is imperative as the island is only accessible during low tides. We arrived about 10 minutes before the designated safe time but the sea had receded enough for people to reach the island over the 3 mile causeway. I would recommend that you take extreme care when crossing. Make notes of the safe times as apparently the lifeboats get called out regularly for stranded motorists. The tide comes in extremely quickly. Once across the causeway you have to park (and pay) and then walk into the village itself to reach the castle and priory. 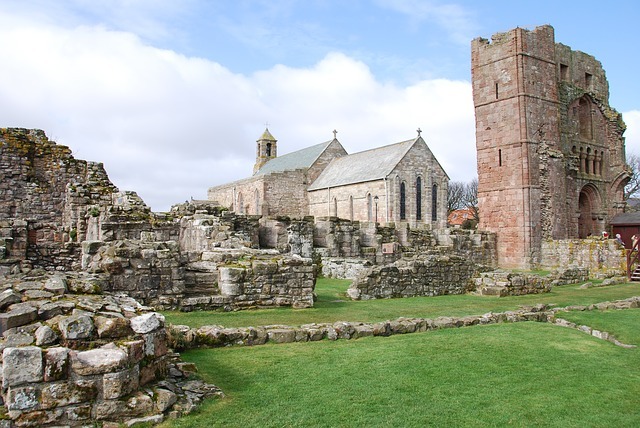 As I mentioned the priory itself is the ruins of the original home of the famous Lindisfarne Gospels and the initial burial place of St Cuthbert. (now reburied in Durham Cathedral) It was founded in 635 AD by St Cuthbert but eventually abandoned in 875AD due to increasingly frequent raids by the Vikings. The castle is now owned by the National Trust. After a few hours on Holy Island we returned along the coastal route back to Seaton Delaval. And of course we inevitably drove past another of Northumberland’s castles on the way! You will pass through a number of villages and towns- Boulmer, Craster, Embleton, Seahouses, Bamburgh and then on to Lindisfarne. Consider a detour to Alnwick to Barter Books – if you like books you may need a few weeks hours there at least!! Keep an eye out for castles along the way! Take a look at the National Trust website for more information about visiting the Farne Islands! Make sure to check the tides for Lindisfarne before you set off! If walking is more your thing there is also the Northumberland coastal route to consider. This is a 64 mile stretch of the International North Sea Trail if you would rather walk along the coastline. Find out the differences between a road trip in the Uk and the USA! Book your Accommodation Along the Northumberland Coastal Route Here! I have a number of posts about Northumberland (the county of my birth) on this website with more coming soon! 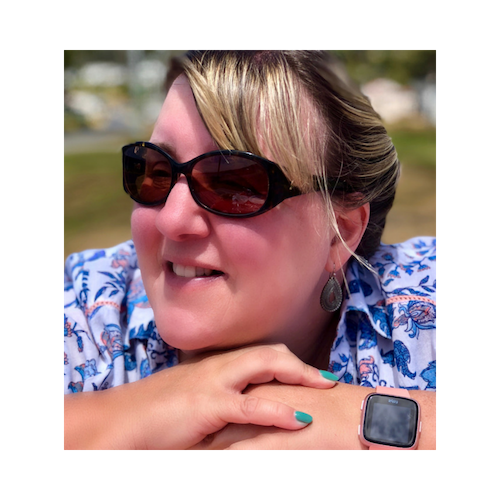 Subscribe below for access to my resource library and also to receive my monthly newsletter with travel tips and information on my latest posts. 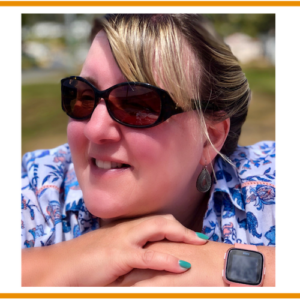 If you are visiting Northumberland then check out the most beautiful places to visit in Northumberland – a great post with contributions from some of the best travel bloggers around. 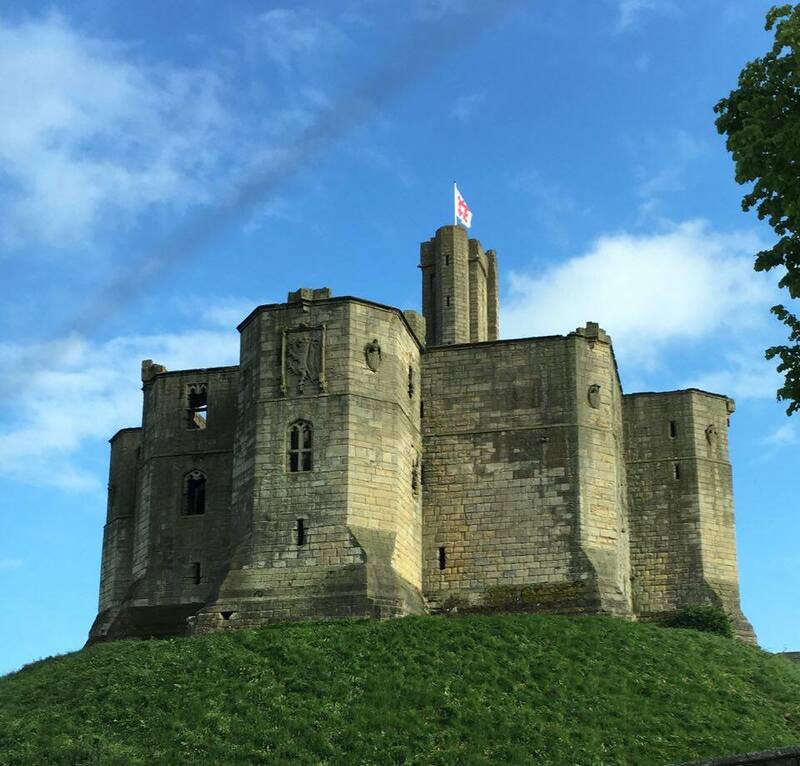 Add in a trip to Alnwick – not only to visit the castle – but to experience the biggest second hand bookshop in Europe. Barter Books is housed in an old railway station and has loads of character (and books). An absolute must-visit if you are in the area! If you enjoy visiting UNESCO World Heritage Site this post covers 4 of the best in Northern England. 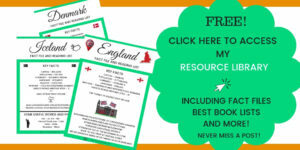 Also take a look at my best books to read before you visit England, traditional foods to try and also my definitive guide bucket list for visitors to England. I took 24 Swiss people last year back to my home county and they were so enthralled by everything they saw. We did get the opportunity to go out to the Farne islands and it was the highlight of their visit. Highly recommended. 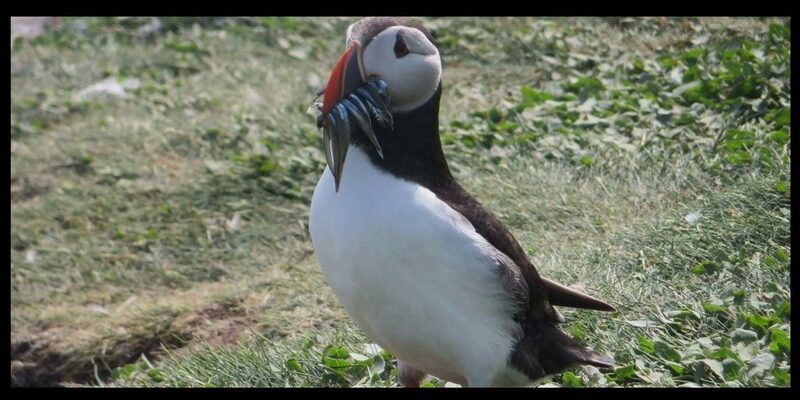 Yes I think it is a great trip to the Farne Islands. We will definitely try to do it next time we are in Northumberland. We too managed to take a ferry to the Farne islands in the middle of Puffin season (June 2016) it was the absolute highlight of a fantastic 7 day holiday in Northumberland. Beware the Arctic Turns which attack you as you arrive on the island. Their nests and young line the walkway! Wear a hat. 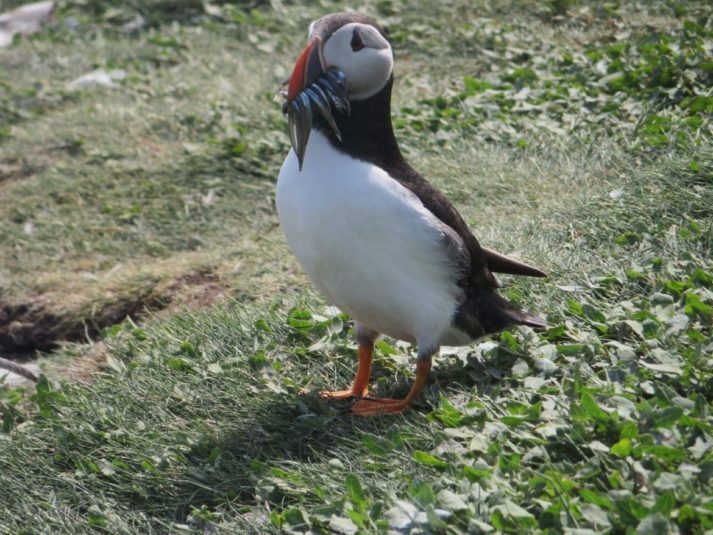 The puffins are charming creatures, but we were surprised to see them being attacked by gulls for their sand eels which they were carrying to their young. If you are a National Trust member your entry on the island is free. Thanks Pauline for the tips – sounds like a great trip to make. We will definitely try and visit to Farne Islands on our next visit to Northumberland. 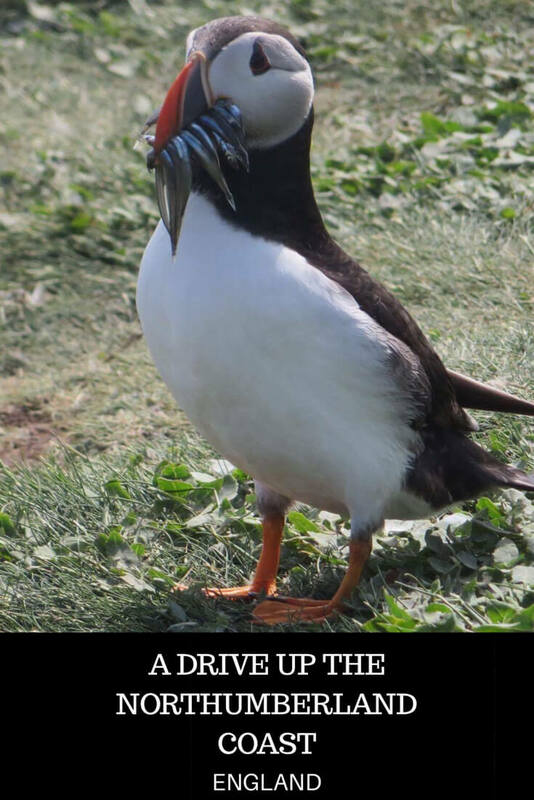 I really would love to see the puffins!